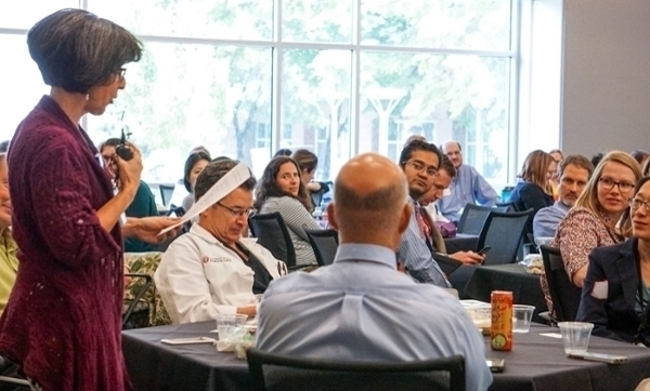 Last month, a core group of faculty who will be instrumental in redefining a new culture of learning gathered for an all-day retreat hosted by the University of Utah School of Medicine. The retreat marks the beginning of a new era in medical education at the U. Since 2016, the School of Medicine has been redefining its culture of learning. The School has made a shift from paternalistic, one-size-fits-all models of the past to modes that empower students and faculty to create a valuable and transformative educational experience. Instead of telling medical students what they should be doing every step of the way, we are giving them more choices in their education. And a top-down approach where the administration tells the faculty what they need to know in order to teach is being replaced by the faculty-led core educator model. Central to this initiative is building a community of 200 educators who are working together to shape this new culture of learning. 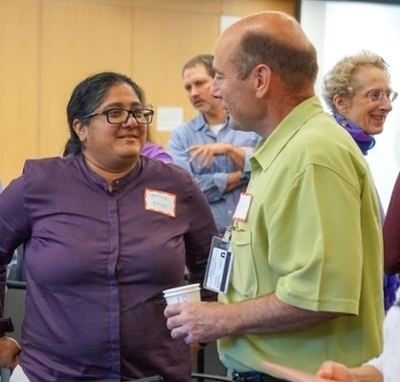 More than 90 School of Medicine faculty representing more than 20 departments attended the inaugural core educator retreat last month. The majority of faculty stayed for the entire retreat. They were also joined by students, leaders, and administrators. Promoting self-directed learning by helping students to be self-starters. Providing a longitudinal coach who follows the academic progression of each student and provides ongoing feedback. Training faculty to give honest feedback in a constructive, supportive way. The core educator model is designed to support faculty in their career advancement. However, as conversations and survey feedback indicate, the professional benefits do not appear to be the driving motivator for faculty. Rather, they are primarily driven by a desire to become better educators and create an exceptional learning environment for their students. improving teaching skills and understanding new methods in education. The community approach to education is already starting to change the way faculty think about their roles in the School of Medicine. Previous models of education were very fragmented and siloed. Clinical faculty were separated from foundational faculty, who were separated from small-group facilitators. The retreat clarified that all of these groups are included in the core educator initiative and defined all course directors, facilitators, and core faculty as core educators. This new model also enables faculty to develop their own communities of practice on a voluntary basis. These faculty-driven groups select the topics they want to focus on, like team-based learning, facilitating small groups, or intergenerational learning differences. They support and mentor each other while developing an expertise, and then share that expertise with the entire cohort of core educators. In addition, faculty take the lead in governance and intellectual exploration. Core educators will receive a new level of support from administration and leadership, which includes scheduling meetings and spaces to meet; providing consultative services; and sharing the latest literature and information about medical education. The new educational approach also offers manageable ways to reach this core group of 200 educators and provide ongoing evaluation and resources for improving their teaching. The core educator retreat aimed to inspire, inform, and connect people. In addition to the impressive attendance and high levels of engagement, feedback collected during and after the retreat was resoundingly positive. One-hundred percent of faculty respondents said they were able to connect with other people. Ninety-six percent said they were inspired. And ninety-two percent felt like the event was informative. In particular, they valued the opportunity to talk and network with others and they want to do more of it. The next core educator retreat is scheduled for January 28, 2019. Before the core educator retreat there was a lot of uncertainty and people didn’t know how they felt about the new approach. After the retreat people embraced the change, which appears to be meeting a need among our faculty that we might not have known was there. Moving forward with a cohesive group of core educators is critical to achieving a value-driven culture of teaching and learning. 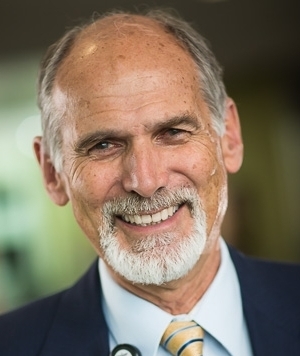 Guest blogger Rory Hume is Dean of the School of Dentistry and Associate Vice President for Academic Affairs and Education.